Other Posts > The survey results are in! Most of my readers are using Lightroom CC or Lightroom 6, with the majority on subscription. You’re mainly amateur and advanced amateur photographers, although some of you earn some money from photography. You love the intermediate to advanced blog posts and tips and tricks, as well as the what’s new posts, and you gave me some great ideas for future blog posts. You also told me you’d like me to do some short videos, so I’ll be playing with some video blog posts over the next few months, and I’d love to get your feedback on them. Many of the things you find confusing in Lightroom are already covered in my free Quick Start eBook and the free Articles section of my website, so if you haven’t checked these lately, it’ll be well worth your time exploring. I don’t remember spotting any questions that aren’t covered in my main Lightroom CC/6 FAQ book. I use the US spellings because the Lightroom interface uses them, and it feels wrong to say “go to the Color panel to adjust the colour”. I try to use the same in emails and blog and forum posts for consistency, otherwise I end up confusing myself. My aim is always to be honest – both with you as readers, and with Adobe too. I do tell Adobe when I think they have something wrong, but I usually do so in private, where we can have a much more productive conversation. However, if I ever think something needs to be said publicly, as with the Lightroom 6.2 release, I promise to do so. Yes, you’ll find them here. 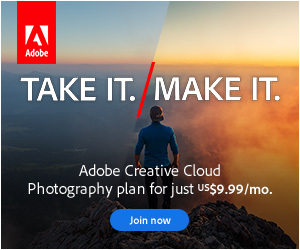 To be honest, I was skeptical when I first heard about the subscription plans, wondering whether Adobe would rest on their laurels with everyone “locked in” to a subscription. The team have been working hard to allay people’s fears about losing their work, as well as adding new features in dot releases. Watching their progress over the last year, and seeing what they have planned for the future, I’m now comfortable in saying I think the CC subscription is a great deal for most users. You’ll find my books right here on my website, or the paperback is also available from online bookstores such as Amazon. Most local bookstores can special order if you prefer to shop offline. Good news… it already is. If you’ve purchased the paperback and registered it, or you’ve purchased the eBooks or paperback direct from my website, the entire book is available in the Members Area and is fully searchable. It’s also kept up to date with the changes as Adobe adds new features. No problem, just drop me an email. That’s true, many educators and authors do seem to use Macs, and you’ll find the screenshots on my website are mostly of the Mac version as I write on a MacBook Pro. But don’t worry, it’s just cosmetic. Lightroom works the same way on both platforms, and where there’s a difference in behavior, I always note the difference. It’s true that my time is limited, so I can’t answer everyone’s Lightroom questions personally, but email support is one of the bonuses I offer free of charge when you purchase my main FAQ book, either direct from this website or when registering a paperback. Why only book owners? Because I can almost always point you to the right page in the book, and if something isn’t quite clear in the book, I can update it in the next version. If you don’t own my book, you’re welcome to post your questions on the forum. We have a great team of experts, and I spend some time there each day too. If your question gets missed, feel free to reply to “bump it” up the listing again. I do! The purchase page is fairly well hidden under the Contact button as there are a limited number of hours in my day, but I’m here to help if you get stuck. No, don’t worry, I take your privacy very seriously. If there was anything specific you asked me to tell Adobe (e.g. why can’t I buy an upgrade in Malaysia? ), I have passed it on to Lightroom’s Product Manager, Sharad. Don’t forget, you can always have your say on the Official Feedback Site. It’s the best place to report bugs and request features as the Lightroom team consider all of the requests posted there, even though they can’t reply to them all. You’ll also find helpful suggestions for workarounds, and you can vote on other people’s requests. Your votes DO make a difference. Thank you again for taking the time to share your thoughts, and I look forward to another busy year of Lightroom Q&A’s.